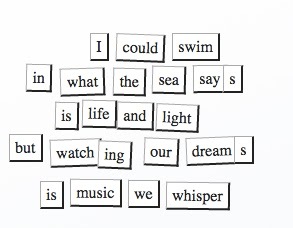 Today, dear reader, we got to play with a magnetic poetry board. 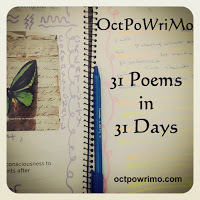 I used an online one, and came up with the poem for the day. There was no theme, just let let words take you where they may. Please enjoy. oh wow! I love this one! So far my fav. of this prompt... great image! I love this, Rod! Nice work with the magnetic poetry! This is SO beautiful. Seems simple, but it's not. It has so much depth and meaning.